The Iranian Islamic Revolutionary Guard is preparing to hold within the next two days a large-scale naval exercise in the Strait of Hormuz, a crucial shipping lane for oil used worldwide, according to U.S. officials. The exercise could threaten to block navigation in the strait, where about 20 percent of the global supply of oil transits from the Persian Gulf. 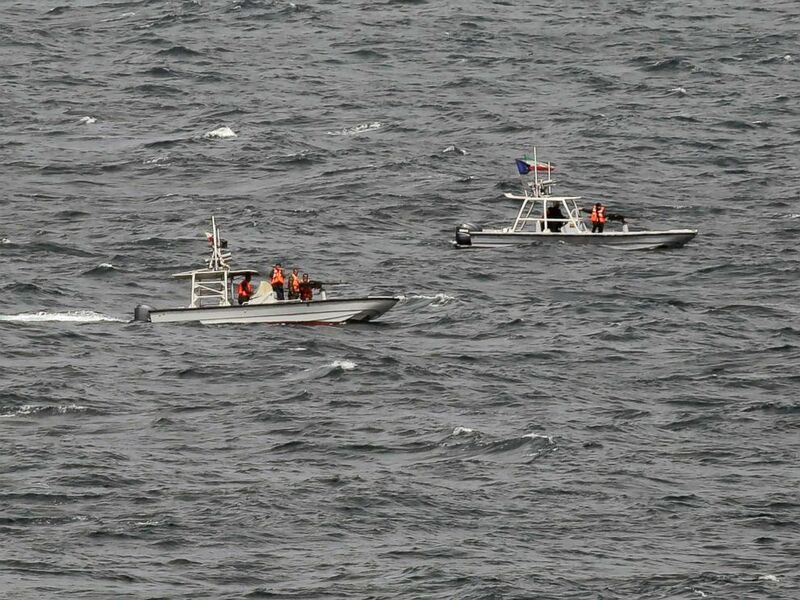 It appears as many as 100 small Iranian craft are prepared to participate in the exercise, officials said. Iran typically conducts this type of exercise in the fall, so U.S. officials expressed surprise at the accelerated timeline for the exercise. One U.S. official downplayed the exercise, nothing that when it normally occurs, there isn’t a major effect on navigation. In this March 21, 2017 photograph, members of Iran's paramilitary Revolutionary Guard watch the USS George H.W. Bush as it travels through the Strait of Hormuz. "We are aware of the increase in Iranian naval operations within the Arabian Gulf, Strait of Hormuz and Gulf of Oman. We are monitoring it closely, and will continue to work with our partners to ensure freedom of navigation and free flow of commerce in international waterways,” CENTCOM spokesman Captain William Urban said. In Israel yesterday, Prime Minister Benjamin Netanyahu warned Iran of the consequences of blockading trade in the region. “If Iran tries to block the Straits of Bab al-Mandab, it will find itself facing an international coalition determined to prevent it from doing so, and this coalition will also include the State of Israel and all of its arms,” Netanyahu said at a naval graduation ceremony. News of the exercise comes amid heightened rhetoric between Iran and President Donald Trump. Iran's President Hassan Rouhani attends a news conference at the Chancellery in Vienna, July 4, 2018. 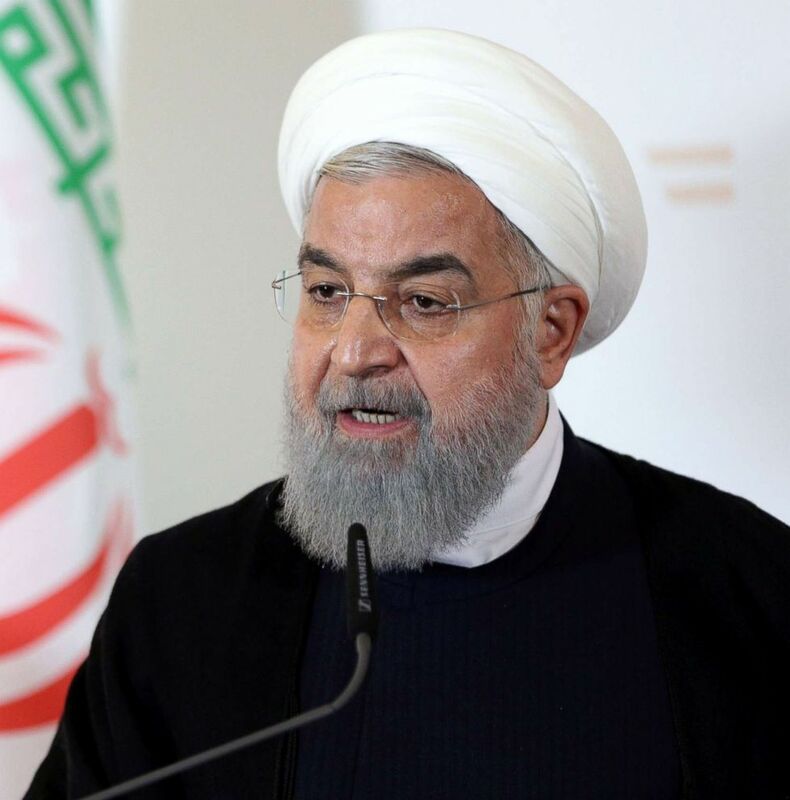 On July 22, Iranian President Hassan Rouhani warned Trump not to “play with the lion’s tail,” and that “war with Iran is the mother of all wars,” during an address to Iranian diplomats. But one week later, during a joint press conference with the Italian Prime Minister, Trump said he was willing to meet with Iranian leaders with no preconditions. “If they want to meet, I'll meet anytime they want, anytime they want. Good for the country, good for them, good for us and good for the world. No preconditions,” Trump said. Secretary of State Mike Pompeo listens as President Donald Trump speaks during a cabinet meeting at the White House, June 21, 2018, in Washington. 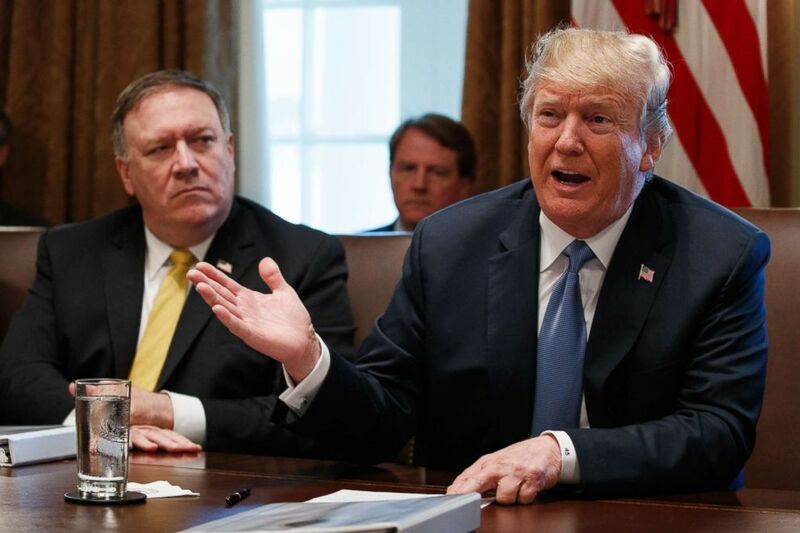 Later that day, Secretary of State Mike Pompeo said he is also in favor of Trump meeting with Iranian leaders, but added three preconditions. “If the Iranians demonstrate a commitment to make fundamental changes in how they treat their own people, reduce their malign behavior, agree that it's worthwhile to enter into a nuclear agreement that actually prevents proliferation, then the president has said he's prepared to sit down and have a conversation with them," Pompeo said in an interview with CNBC. The State Department later clarified that Pompeo and Trump were on the same page, that there would be no preconditions. In recent weeks, Pompeo has stated that the U.S. supports Iranian people who have protested the Iranian leadership, but the administration insists it is not calling for regime change. ABC News’s Conor Finnegan and Luis Martinez contributed to this report.